For complete information on the Information and Library Technologies Program, please visit the program section of the John Abbott website. 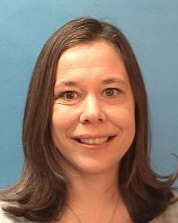 Janet Donaldson graduated from JAC’s ILT program in 2005. An enthusiastic supporter of libraries, she returned to school to study in the ILT program after volunteering at an elementary school library for many years. Before returning to school Janet worked for ten years, variously as a doula, an aide natale at the newly opened Cote des Neiges Maison de Naissance and as chair of the breast feeding support group Nourri-Source in NDG. In 2006 she began her career at John Abbott College where she has worked in several positions including at the circulation and reference desks in the library. In 2008 Janet began working in the University & Career Information Centre, (UCIC) and in 2013 she joined the ILT department as their lab technician. Today she divides her work between the two positions. Janet has served on several John Abbott Committees, including the Harassment Awareness Committee, the Library Media Services Committee, and the Complementary Committee. She is currently secretary of JACASPA, the college’s support staff union. She is a member of the Association professionnelle des techniciennes et techniciens du Québec and the Quebec Library Association. Christine Jacobs is the current chair of ILT, ably assisted by Cristina Segura and Melissa Maude. With an undergraduate degree in Anthropology (Carleton 1973) and a Masters in Library and Information Studies (McGill 1983), Christine worked in a variety of settings before joining the ILT program as a full-time teacher in 1996. Her past experience includes bookstore management; reference, programming and cataloguing at the (then) Côte-St-Luc Public Library; a/v librarian working on indexing, cataloguing and special projects for the database division of the National Film Board of Canada; and managing her own company providing indexing and editing services. Her professional specialization is subject access to information and she usually teaches in the areas of classification, cataloguing and indexing, as well as communication and teamwork. However, she enjoys all kinds of information management tasks and has taught a variety of other courses within the program. She has also taught indexing at Concordia and McGill, as well as in various workshops through the Indexing Society of Canada. Among the articles she has published are: “Liberal arts and LIS paraprofessional education in the knowledge context: the cases of South Africa and Québec, Canada” (with Jaya Raju) (http://www.ajol.info/index.php/innovation/article/view/46972), and “Ethical Places, Ethical Spaces” (http://www.ingentaconnect.com/content/index/tiji/2007/00000025/00000003/art00003) concerning ethical considerations in indexing. Christine spent her last 6-month sabbatical in Ghana, working first in a College library and then in a children’s library. 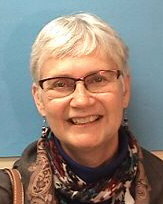 Christine is active within a number of professional associations and in 2012 the Quebec Library Association (ABQLA) awarded her the 2012 Anne Galler Award for Outstanding Library Service in recognition of the longstanding and broad scope of her contributions to the field. Among other activities she is an external review panelist for the American Library Association Committee on Accreditation. She was also nominated by the College for the Association of Canadian Colleges Teaching Excellence Award in 2007. 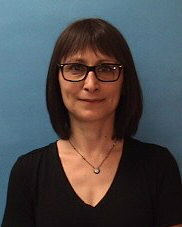 Lidia has been teaching at John Abbott College since 2012. After graduating from the Information and Library Technologies program at JAC, she worked for several years as a technician in private, public and academic libraries. She then completed her BA in Human Relations (Concordia University) and subsequently graduated from the Master of Library and Information Studies program at McGill University. 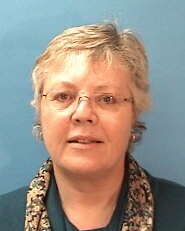 Lidia’s areas of expertise include classification and cataloguing, as well as information literacy. She is a member of the Quebec Library Association, and volunteers as a tutor of English as a second language. Melissa Maude joined the ILT Department in the fall of 2002 and teaches courses primarily in the Archives and Records Management stream, in addition to coordinating fieldwork placements for graduating students. Prior to teaching at JAC, Melissa worked as a Reference librarian at the National Library of Canada (now Library and Archives Canada) after having held various library positions in both public and private sector organizations in Canada and the United States. Melissa earned her B.A. in Communication Studies at Concordia University (1994) and her Master of Library and Information Science at the University of Southern Mississippi (1998). She is currently a member of ARMA International, the Association des archivistes du Québec and the Society of American Archivists. 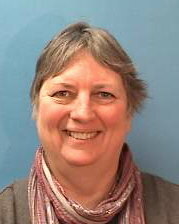 Sally teaches in both the library-related and records management/archives streams of the Information & Library Technologies program. She also teaches courses that incorporate the use of general and library-specific software as well as the Physical Processing course. As a result, Sally can sometimes be found cutting and gluing (repairing books)! Sally was born and educated in England and held various supervisory positions in the U.K. government. After her arrival in Canada, she chose a new direction and, having volunteered in school libraries, became a student in the Information & Library Technologies program. Following library-related work experience in an elementary school library and pharmaceutical library, she returned to John Abbott to work as the ILT program technician. 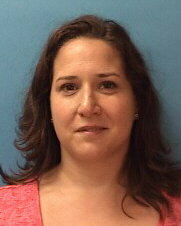 She began teaching part-time in the department in 2004 and completed a Master’s degree in Education in 2011. 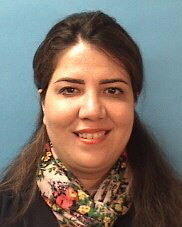 Her research focused on the ILT program as a learning community. Sally is a member of The Quebec Library Association. For a detailed list of courses offered, please visit the Information Library Technologies section of the Course Calendar.